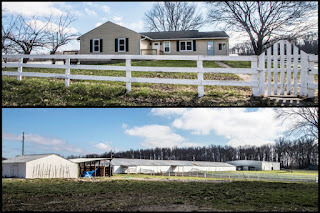 NEARLY 50 ACRE HORSE FARM! 40+ stalls, 5 paddocks, 100 x 135 indoor arena & outdoor arena, 1/2 mile track (former Standardbred facility) & ~1/2 mile of wooded trails! 3 Bedroom/2 Bath Ranch home (in the process of being updated) with hardwood floors, updated Kitchen and Master Suite with vaulted ceiling, walk-in closet & remodeled shower Bath...plus a 4 Bedroom/2 Bath Modular home and a Trainers apartment. Multiple farm buildings on the property & a gas well that services all property gas appliances! 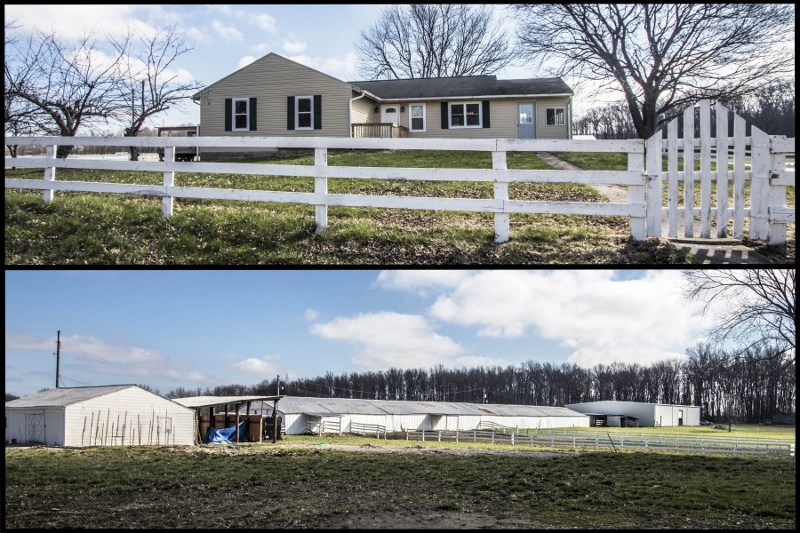 Perfect for your future Equestrian Business or Training Facility! Southwestern Licking schools. Only $679,900! Call DeLena today!